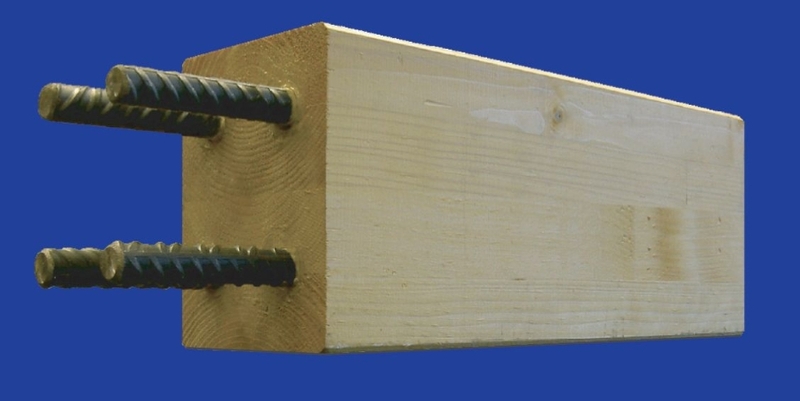 Armalam® is the name of an innovative patent which allows the production of laminated-wood beams with more than double strength and rigidity if compared with no steel-reinforced laminated-wood elements. This allows also a vast range of uses for new-construction projects, renovations and structural reinforcement for buildings and infrastructures. 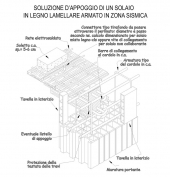 This technology was developed in year 2003 from the collaboration between engineers Claudio Cattich and Luca Gottardi, co-developers with Prof. Maurizio Piazza of the patent Armalam®. The Armalam® technology is based on the reinforcement of regular laminated wood beams with one or more steel (or CFRP) rebars in specific milling tracks parallel to the beam axis and glued to the wood lamellas through a specific epoxy glue which is considered part of the patented technology. (1) The value of 2.5 is not an real limitation but a specific choice caused by design and production needs. 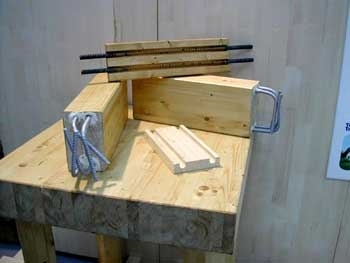 (2) The result depends on the distance between rebars and beam external surface. 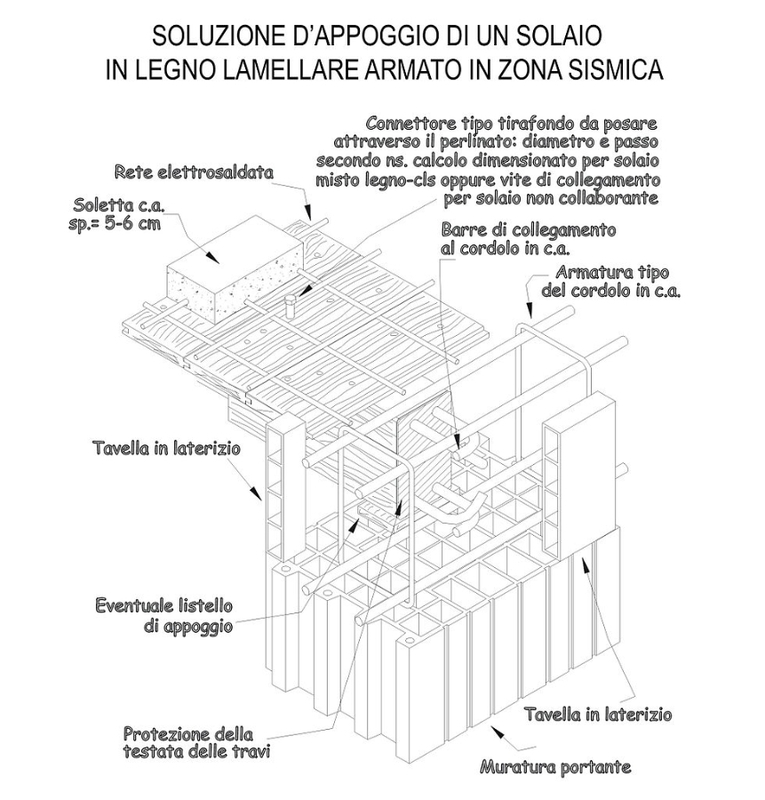 (3) This behavior is very useful in case of structural design for earthquake-proof buildings. 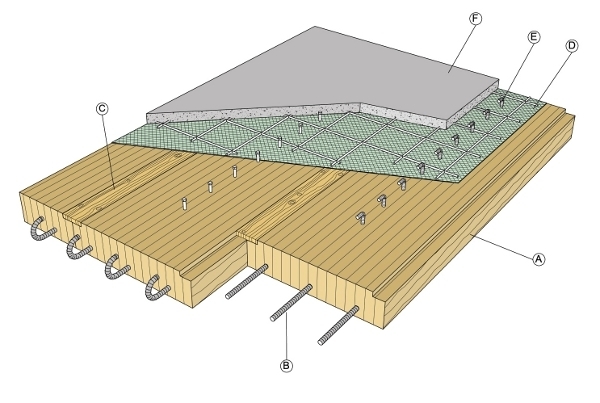 Moreover, the fracture of the wood fibers on the taut side of the beam doesn’t bring to a sudden collapse of the structure thanks to the plastic deformation of the steel rebars.